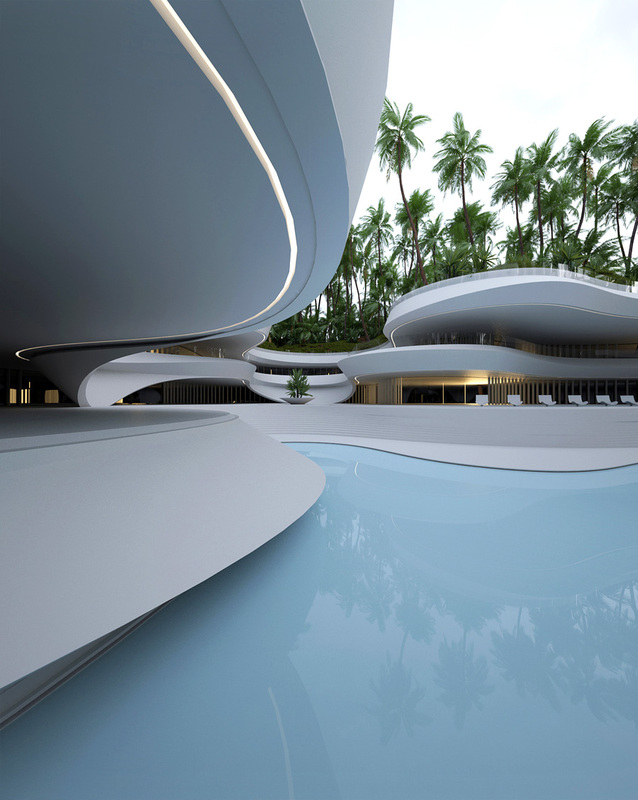 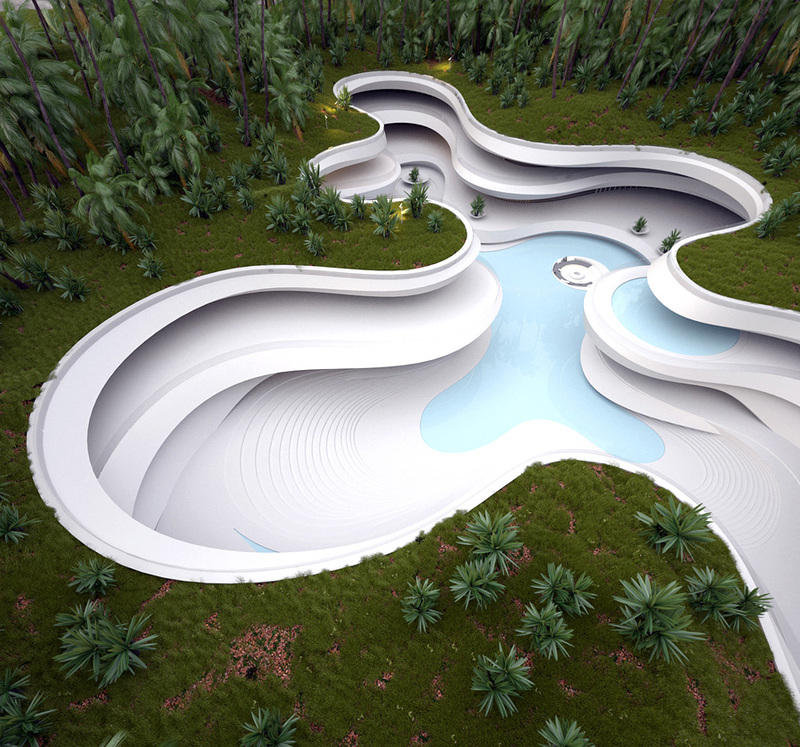 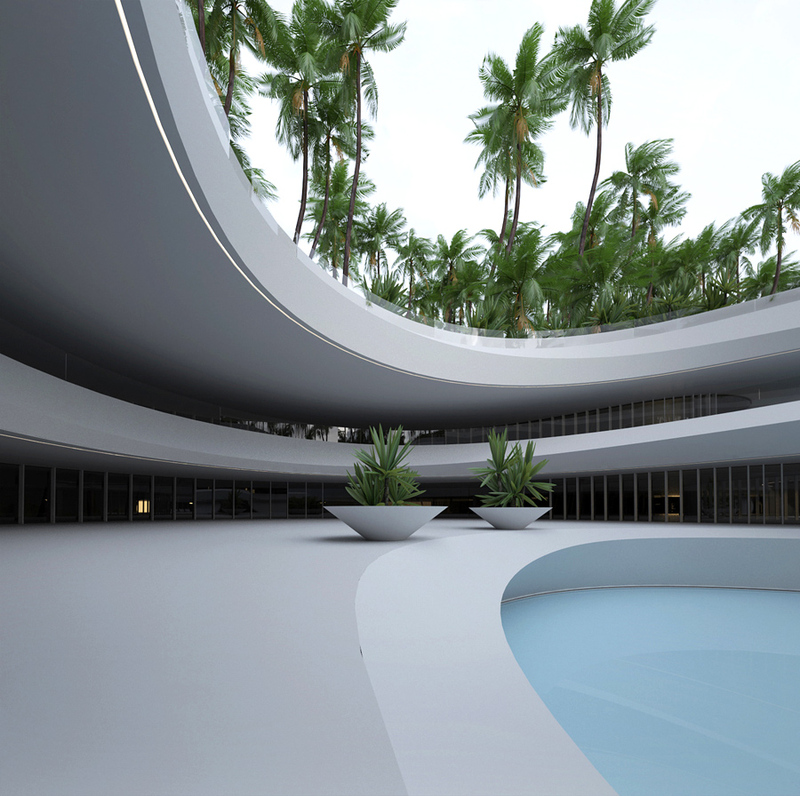 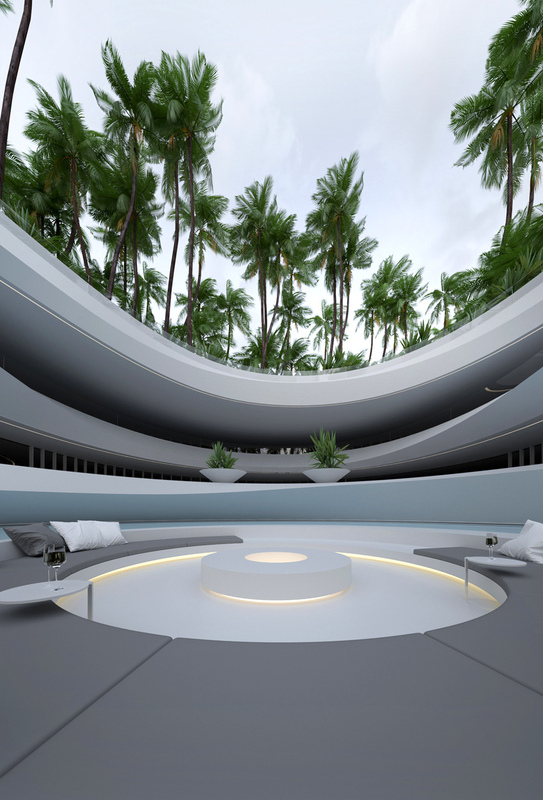 Conceptual architect Roman Vlasov releases the speculative swimming pool “Concept/689”. 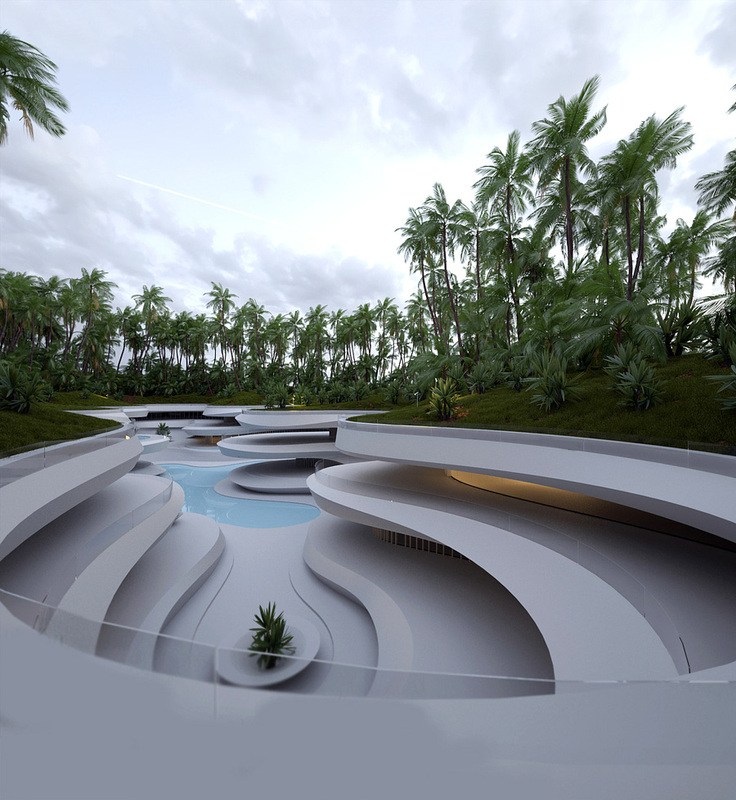 Cutting into the earth, the project exhibits qualities of an eroded landform revealing multiple levels, alluding to interior program continuing underground. 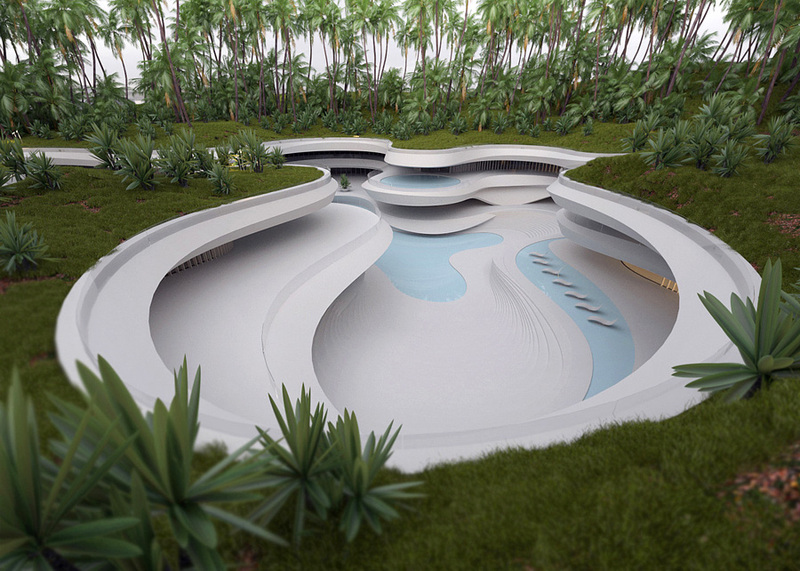 A hybridization of landscape and architecture, this command over nature introduces an idyllic, contemporary grotto with deep, sweeping overhangs. 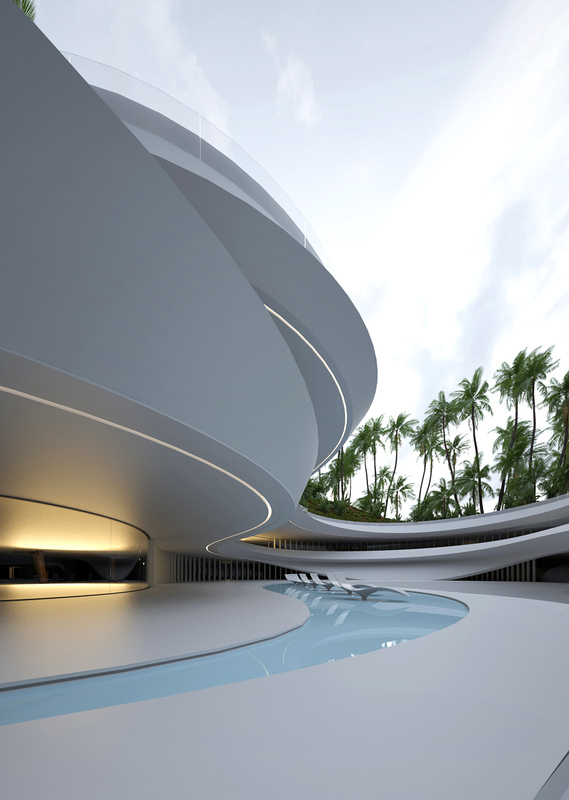 The implied subterranean interior creates an enigmatic territory to be explored. 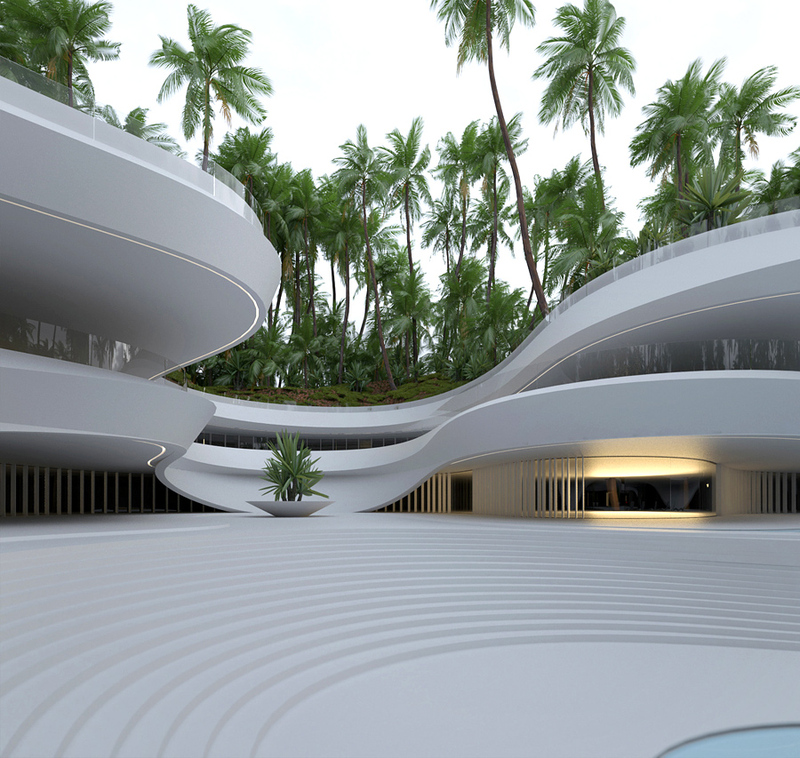 Meanwhile the smooth, controlled curvatures of the excavation within the forested site display an aesthetic distancing of nature, framing the bucolic surroundings without letting it in. 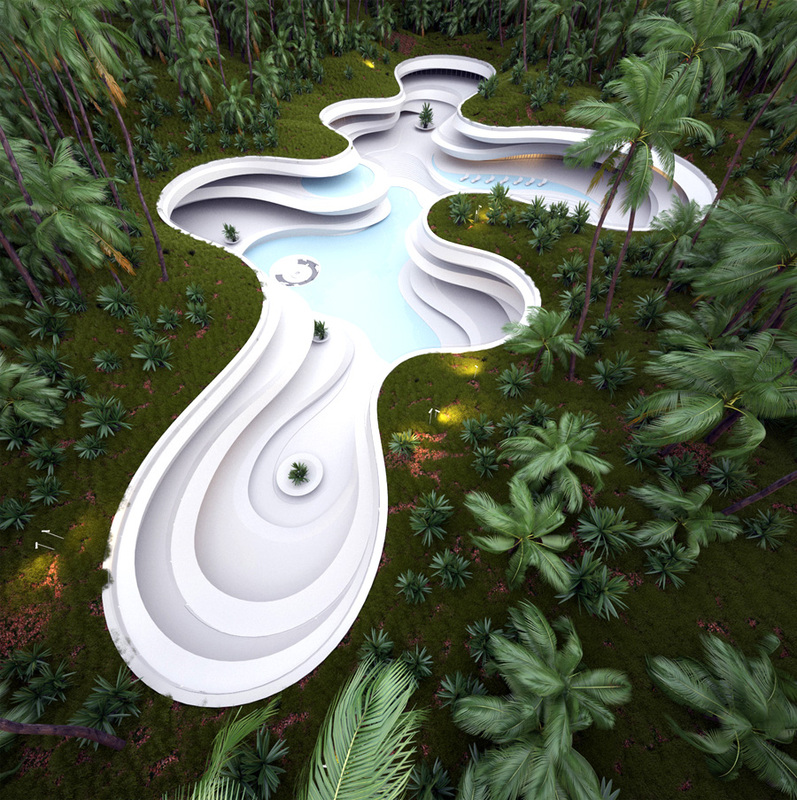 As in his many other works, Roman Vlasov masterfully visualizes the speculative project, leaving the viewer questioning its reality. 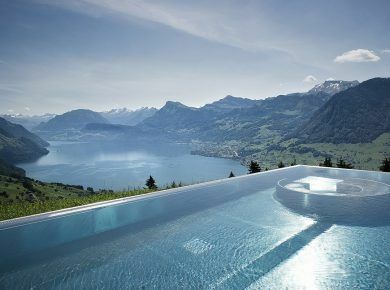 And don’t forget to check 12 Of The World’s Most Extraordinary Swimming Pools.